Number missing in Indonesia ferry disaster jumps again to 192: official - SABC News - Breaking news, special reports, world, business, sport coverage of all South African current events. Africa's news leader. As many as 192 passengers could be missing after a ferry sank into the depths of a volcanic lake in Indonesia, the search and rescue agency said on Wednesday, tripling initial government estimates. 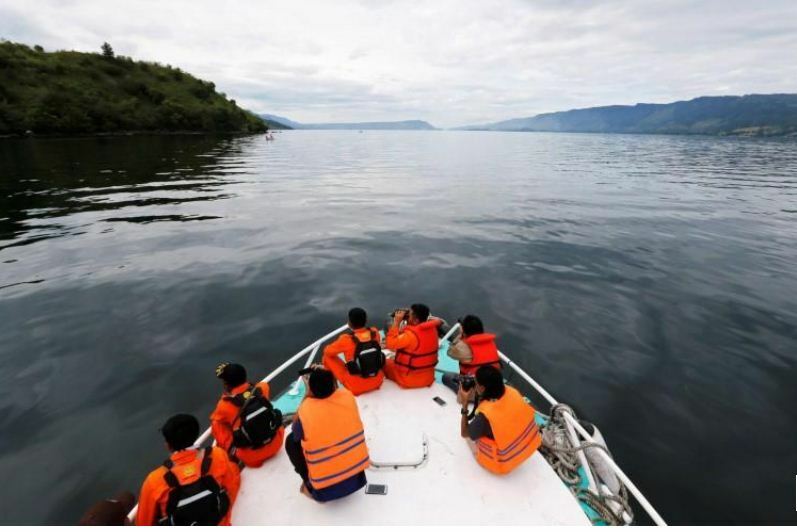 The agency’s head cautioned that it was still unclear how many people were aboard the vessel when it capsized Monday in Lake Toba, a popular tourist destination on Sumatra Island. Indonesia’s disaster agency originally said some 80 people along with dozens of motorcycles were on the overloaded, 43-passenger capacity vessel when it overturned and sank. So far, four bodies have been found and another 18 people rescued, according to the agency. By Wednesday, the official number of missing had jumped several times to 192 passengers. If confirmed, it would be one of Indonesia’s deadliest maritime disasters. “Many people got on the boat without a ticket so it’s unclear how many were on board,” Muhammad Syaugi, the head of the search and rescue agency, told AFP. The search has now turned to recovering bodies including those that may still be trapped inside the sunken boat. “We’ll be here until they find my brother’s body,” said Nurhayati, among hundreds of grief-stricken people waiting by the shore for updates. Sobbing mother Suwarni pleaded for news of her son and his fiancé, both believed to have been on board. “Why are the rescue teams so slow?” said the 55-year-old, who like many Indonesians goes by one name. “I’m so disappointed, there’s no progress here. Please bring back my son,” says Suwarni. Lake Toba, popular with international and domestic tourists, fills the crater of a super volcano that erupted tens of thousands of years ago. It is one of the world’s deepest lakes and extends some 1,145 square kilometres (440 square miles). Traditional vessels like the one in the Lake Toba disaster are rarely equipped with enough life preservers and their condition can be dire. Enforcement of safety standards also tends to be weak, underscoring Indonesia’s woeful boat safety record. This entry was posted on 20 Jun 2018,05:46PM at 5:46 PM and is filed under World, Homepage Featured Story Slider. You can follow any responses to this entry through the RSS 2.0 feed. Both comments and pings are currently closed.